Confirm the withdrawal of Israeli forces from southern Lebanon. Restore international peace and security. Monitor the cessation of hostilities. Accompany and support the Lebanese armed forces as they deploy throughout the South, including along the Blue Line, as Israel withdraws its armed forces from Lebanon. Coordinate its activities referred to in the preceding paragraph (above) with the Government of Lebanon and the Government of Israel. Extend its assistance to help ensure humanitarian access to civilian populations and the voluntary and safe return of displaced persons. Assist the Lebanese armed forces in taking steps towards the establishment between the Blue Line and the Litani river of an area free of any armed personnel, assets and weapons other than those of the Government of Lebanon and of UNIFIL deployed in this area. Assist the Government of Lebanon, at its request, in securing its borders and other entry points to prevent the entry in Lebanon without its consent of arms or related materiel. 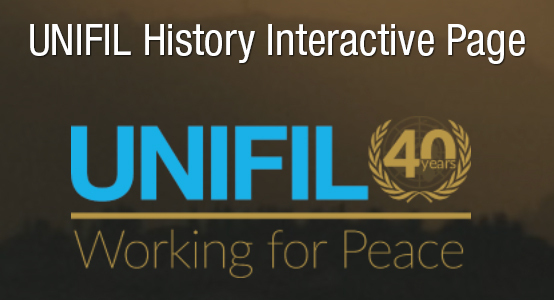 By this resolution, the Council also authorized UNIFIL to take all necessary action in areas of deployment of its forces and as it deems within its capabilities, to ensure that its area of operations is not utilized for hostile activities of any kind; to resist attempts by forceful means to prevent it from discharging its duties under the mandate of the Security Council; and to protect United Nations personnel, facilities, installations and equipment, ensure the security and freedom of movement of United Nations personnel, humanitarian workers and, without prejudice to the responsibility of the Government of Lebanon, to protect civilians under imminent threat of physical violence.